Kevin Nolan | NUFC Blog. Archive for category: Kevin Nolan. 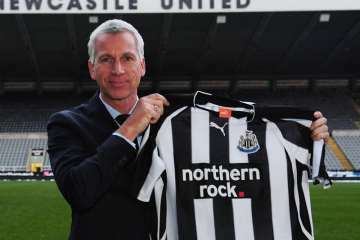 In his latest defence of his French players, this time against alleged criticism in the media, Alan Pardew’s continued with his latest “inexperience” offensive, which seems to have replaced injuries and Europa League fixtures as his main explaination for Newcastle United’s poor form, which now has the club in a relegation dogfight. 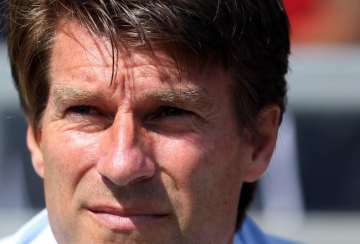 St James’ Park will be honoured to receive football royalty to St James’ Park as the greatest footballer of the 1990s, and indeed one of the greatest ever, Michael Laudrup, brings his Swansea City side to St James’ Park. Unlike last week, this game should see an intriguing contrast of styles, as the elegant, flowing Swans are pitted against Pardew’s ugly ducklings, who are currently the Premiership’s biggest “route one” side. St James’ Park welcomed back two old faces in our last game, Kevin Nolan and Andy Carroll, with the former scoring the winning goal against us. This time it is the turn of Wayne Routledge, who, like Nolan, has flourished since he was thrown out on his ear and declared not good enough for Noocarrssell by our Silver Supremo back in January, 2011. However, under the expert guidance of the playmaker supreme, he has provided six assists for Swansea so far this season, as well as a couple of goals. His four Premiership assists so far are as many as Ben Arfa (2), Cabaye (1), Gutiérrez (0), Shola (0) and Demba Ba (1), not to mention his replacement, Gabriel Obertan (0) have managed collectively. So, like Nolan, he might well be a danger for us alongside his current partner in goalscoring crime, the £2 million bargain of the season and Swansea’s top hitman so far with six goals, Michu. 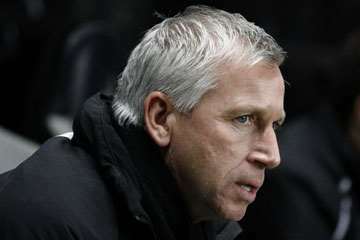 Pardew: Explains reasons for West Ham defeat. 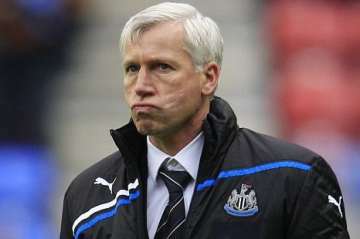 Newcastle United’s Silver Supremo, Alan “Pardiola” Pardew has been explaining the reasons for the Magpies’ somewhat disappointing performance against West Ham on Sunday, giving several reasons for the team’s capitulation to the visitors. Highlights of the game between Newcastle United and West Ham United at St James’ Park, though I use the words “highlights” in the loosest possible sense! Of course, it was also in the script that either be Kevin Nolan or Andy Carroll would score a winning goal, and it turned out to be the former. Not a good day at the office at all for the Grey Gaffer in a game which was excruciating to watch at times. Actually, forget the “at times,” it was just excruciating to watch full stop!